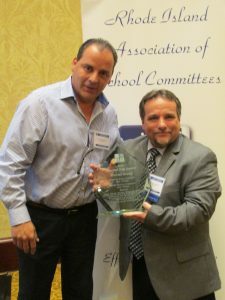 Michael Araujo was awarded the 2017 Howard Kay Award for outstanding school committee leadership at RIASC’s Annual Meeting. Michael, a member of the Pawtucket School Committee, was nominated by a fellow member. He is a graduate of RIASC’s Leadership Academy and has achieved close to 200 professional development hours through RIASC. He has served as Chair of the Pawtucket School Committee and serves on many sub-committees in Pawtucket. Mike is also an active member of the RIASC Board. Congratulations Mike. 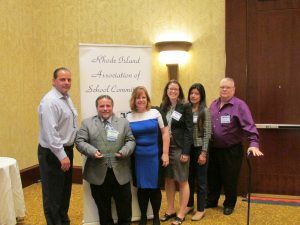 You are a true champion for the students of Pawtucket.